Arrange the placemats in sequential order and put the entire set into a sheet protector. Students solve the questions and write the answers on the sheet protector using a dry erase marker. Add all of the answers and write the sum in the center circle. Teacher checks the sum and states whether the group is correct. 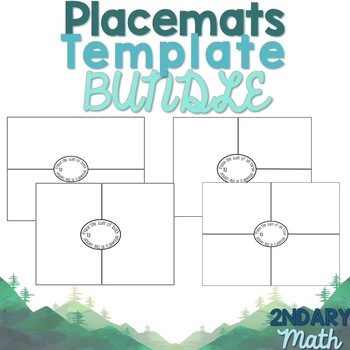 Make the placemats a fun classroom competition by seeing which group can complete all placemats the quickest.